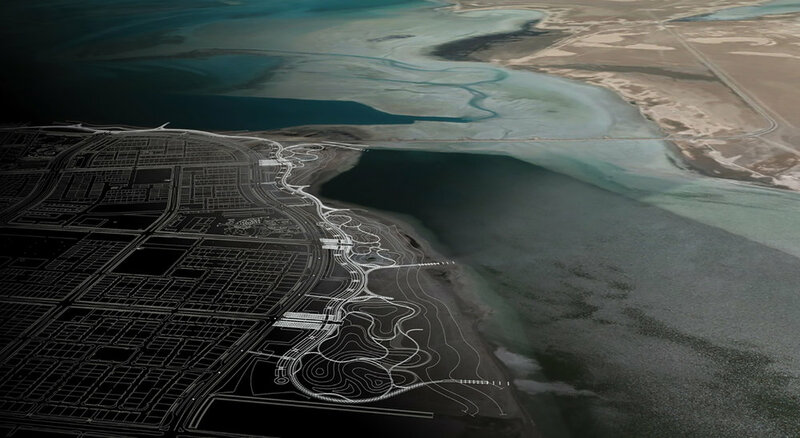 Jalmudah Shoreline Park — Landworks Studio, Inc.
Jubail is a rapidly developing city on the eastern coast of Saudi Arabia, and the world’s second largest industrial city. 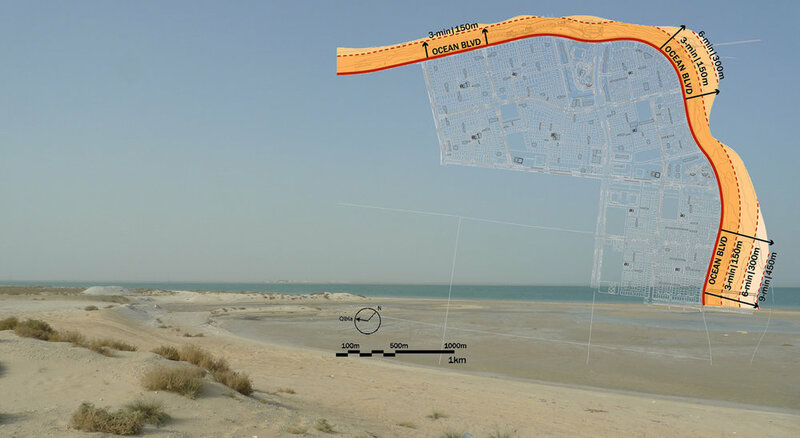 The Jalmudah District is one of the eight residential districts of Jubail Industrial City located on the Gulf, covering an area of 1,000 hectares. It was Designed to accommodate 60,000 residents. Roads were not designed solely for vehicular circulation but also intended to function as linear landscapes and orienting devices within the District. As part of an extensive open space network for the city designed by Landworks Studio in partnership with CBT Architects, the Jalmudah Shoreline open space called for the design and construction of a public park along 5.5 km of shoreline. Jalmudah Shoreline Park connects fragmented open spaces along the coastline into a cohesive shoreline “green” network. This park is designed to attract residents from surrounding neighborhoods and districts to the shoreline, providing new opportunities for recreation and leisure. 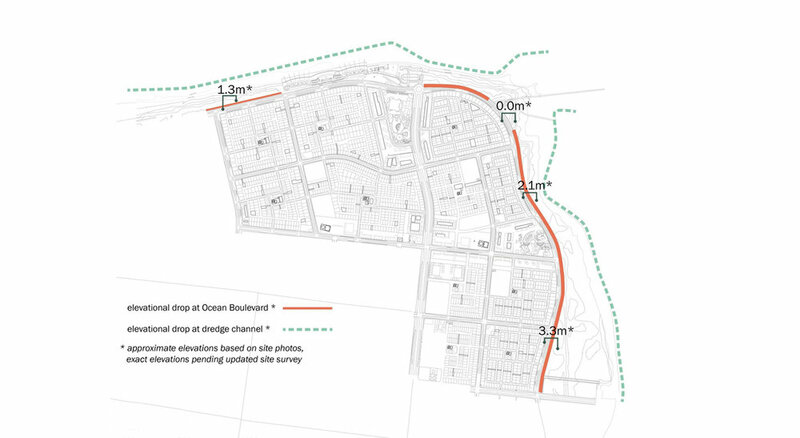 This design explores different methods for weaving responsive topography into a circulation system that connects land-locked city blocks to the shoreline. 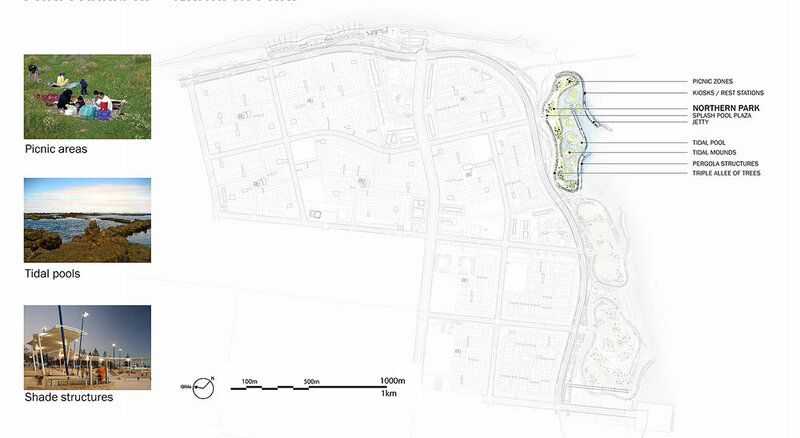 The design mediates and prioritizes space between human use and restored shoreline ecology. Its widest parts are a 9-minute walk from roadway to water’s edge (450 meters from Ocean Boulevard at low tide, 250m/5 min at high tide.